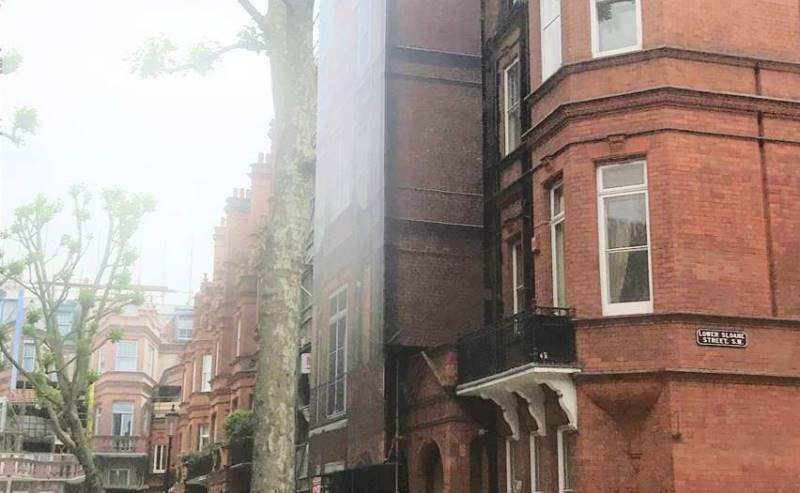 THE DEVELOPMENT 57 Sloane Gardens is a five storey London town house located in the Royal Borough of Kensington and Chelsea within The Cadogan Estate and the Sloane Square Conservation Area. The historic building dates back to the early 1890s. 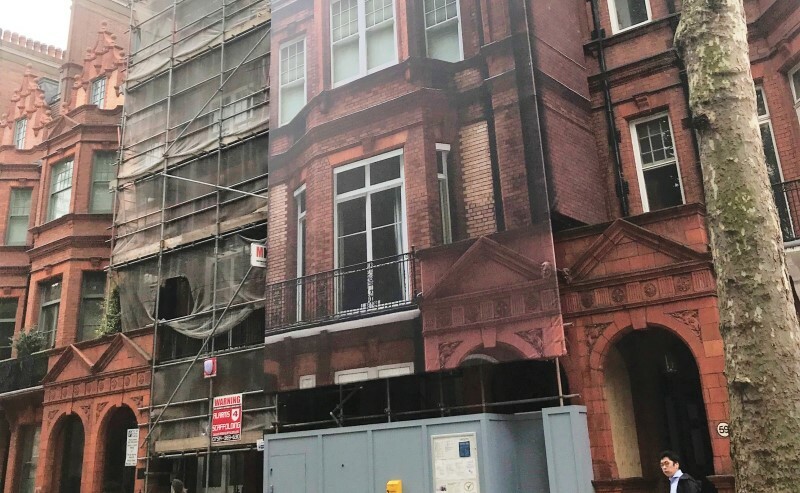 For the redevelopment into five luxury apartments scaffolding had to be erected in front of the classic red brick façade – which was also being lovingly restored.  THE BRIEF Cadogan Estates were keen to absolutely minimise any negative impact of the works (which included internal demolition) on the local neighbourhood. 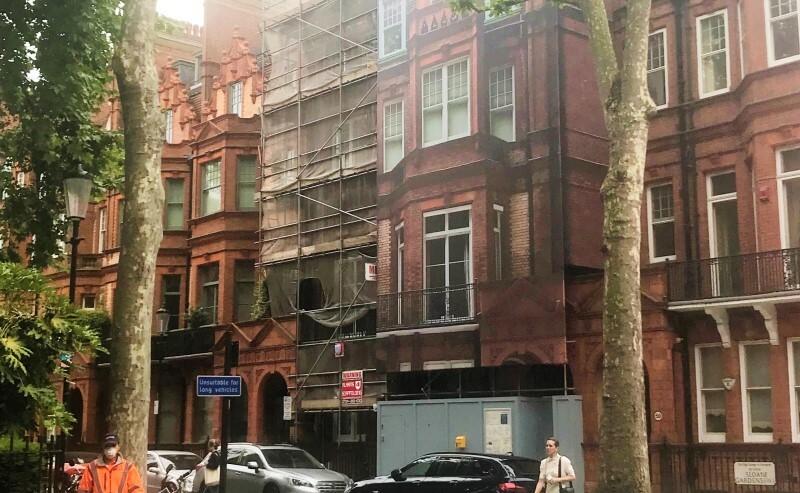 They were particularly keen to avoid the unpleasant scaffolding destroying the visual impact of the stunning streetscape in such a desirable and affluent area. Embrace were appointed to provide the full project management of a creative building wrap solution, from initial brief through to site survey, material specification and supply, graphic design, print production and final on-site installation. THE SOLUTION We set about developing trompe l’oeil design to create an optical illusion that the building was unchanged, with no scaffolding in place. 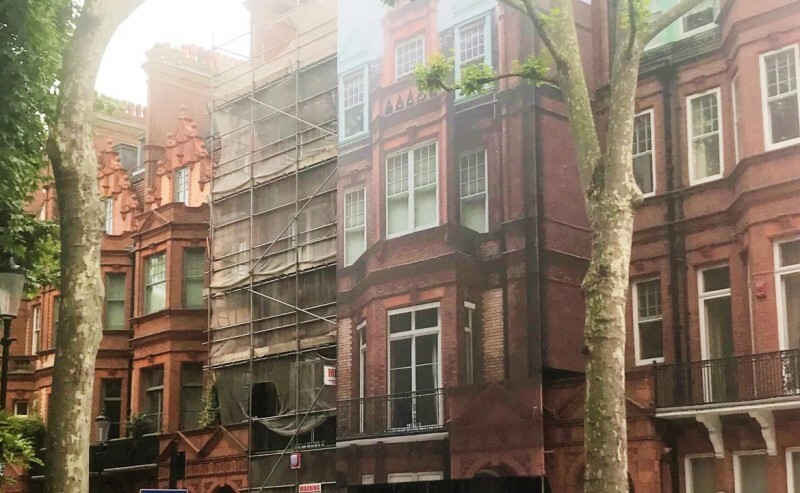 To create the one-to-one scale artwork for the scaffold wrap we arranged photography of 57 Sloane Gardens from all heights which we then combined and digitally enhanced in high resolution – adjusting details such as closing windows, adding internal window dressings and touching up the brickwork. 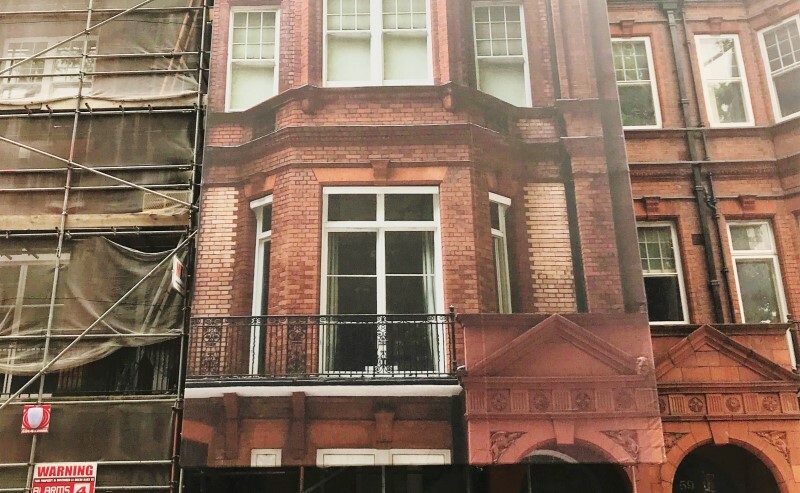 To ensure a seamless connection with the adjacent property we also electronically extended the red bricks on the side return in order to hide the depth of the scaffolding and blend perfectly with our neighbour. 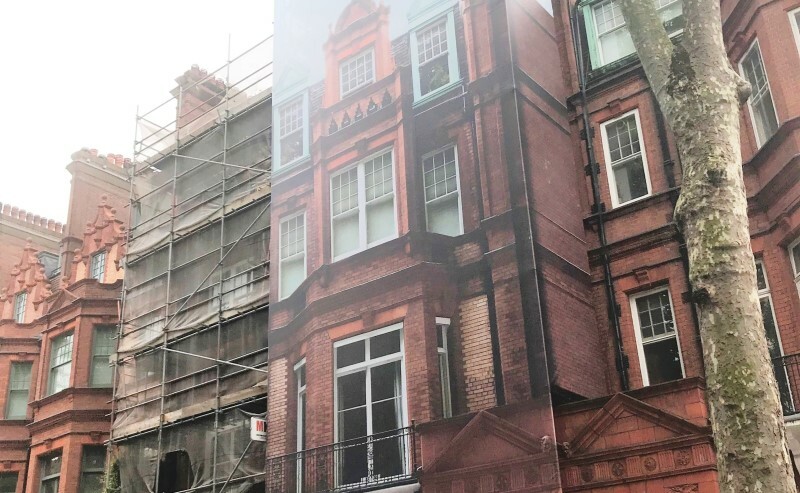 Our specialist wide-format printing presses were employed to physically produce the high quality printed scaffolding banner in a single piece before attending and smoothly installing at the property – delivering the full solution on time and within our pre-agreed budget. The end result completely hides the scaffolding which is now perfectly disguised, creating an enhanced environment for our client and the neighbourhood until the renovations are completed.